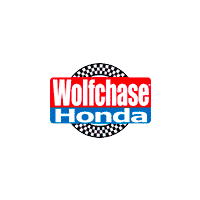 Wolfchase Honda is one of the premier Honda dealerships in the country.​ We have been family owned and operated for over 25 years now. ​Our commitment to customer service is second to none. We offer one of the most comprehensive parts and service departments in the automotive industry. Our primary concern is the satisfaction of our customers. ​Our online dealership was created to enhance the buying experience for each and every one of our internet customers. For assistance, please contact us or call (800) 591-6019. All prices include all applicable incentives. Prices and inventory subject to change. For our best selection of New and or Pre-owned Honda automobiles, come to Wolfchase Honda in Bartlett, TN. We specialize in new Honda vehicles and used cars. We offer a great selection of cars, trucks, vans, and SUVS including but not limited to Honda Fit, Civic, Accord, CR-V, HR-V, Pilot, Ridgeline, and Odyssey. We also offer great service with certified trained Honda technicians, a great selection and great values. At Wolfchase Honda we want every customer to feel as though they got their best deal. Getting a great deal also means better value on your trade in. You can also find special incentive offers and service coupons and offers. You can order Honda parts and accessories for your Honda as well. All the information you need is right here, 24 hours a day, seven days a week. Our friendly, professional staff will exceed your expectations. We’ve been voted numerous years as the Best New Car Dealership by the people of Memphis in the Commercial Appeal Best of Poll. If you have a special request or would like any extra help finding a Honda in our area, please contact us. We look forward to serving your automotive needs. For our customers who purchased their vehicle during one of our Lifetime Oil Change Privileges promotions: Don’t forget to come in and get an oil and filter change at 1/2 price for as long as you own the vehicle.